Dr. Shea, a native of Michigan, received a Bachelor of Science degree in Human Biology and his Doctorate of Chiropractic from National Health Institute (formerly National College of Chiropractic) in Lombard, Illinois in 1985. 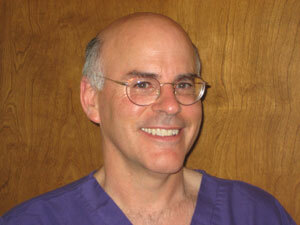 He has practiced chiropractic in Big Rapids since August, 1985. His techniques include diversified,Thompson Drop and Activator. He has been married for thirty four years to Meredith and has three sons. Dr. Shea is a member of the Michigan Association of Chiropractors, the American Chiropractic Association, the Christian Chiropractic Association, Resurrection Life Church in Rockford and the Big Rapids Chamber of Commerce.